Supplements, are they worth the money? This is a pretty common question from both newbie gym-goers and more experienced lifters alike. When I started lifting 18 or so months ago, I hadn’t a clue about supplements. I thought whey protein was basically steroids and would make you huge, and had never heard of creatine! Thankfully I’m a little more informed now! I thought I’d share my favourite supplements, all of which are of course backed up by research. Hope you guys find it useful! To start off with, I need to point out that supplements are nowhere near the most important part of your diet. Eric Helms’ nutritional pyramid (above) really highlights how supplements really only make up a small portion of what actually matters when it comes to body composition. The most important factor when it comes to making changes to your body, be it fat loss or muscle gain, is energy balance. If you’re eating too many calories, all the supplements in the world won’t make you thin. If you’re looking to gain muscle, but are only focusing on that post-workout shake, you’re not going to optimise muscle growth. I would strongly encourage everyone to get to grips with calories, macros etc. before worrying about supplements! If you’ve mastered those, then take a look at my recommendations below. If you’re living in Ireland, the UK, or other places in the Northern Hemisphere, chances are, you probably don’t get enough sunlight. Sunlight is required to convert inactive vitamin D to its active form (1,25 dihydroxyvitamin D3). Vitamin D is needed to absorb calcium, and is therefore crucial to bone health. Vitamin D supplementation is also associated with multiple benefits, including immune health, increased cognition, and a lower risk of diseases like cancer, MS, diabetes, and heart disease. Vitamin D is found in oily fish, eggs and cod liver oil, as well in fortified dairy products. When supplementing vitamin D, always choose D3 over D2, as it is more effectively used in the body. The optimal dose of vitamin D depends on the person – particularly on how much sunlight you’re getting, and skin colour. Those with darker skin will need more sunlight exposure to produce enough vitamin D than those with lighter skin. The best way to find out how much to take is to get your blood levels of vitamin D checked – your GP can do this for you. From there, you can decide on a dose that will be optimal for you. There is a risk of toxicity if you take more than 10,000 IU of vitamin D3, so don’t exceed this unless under medical supervision! I personally take MyProtein vitamin D3 which provides 2,500 IU, which I have once daily with meals. If you only take one supplement, it should be this! There’s a ton of research on fish oil and the effects of omega 3 fatty acids. Benefits of supplementation may include a reduced risk of cardiovascular disease, certain cancers, and autoimmune disease. Seems worth taking, right? Fish oil refers to omega 3 and omega 6 fatty acids, both of which are essential, meaning the body cannot produce them itself. The average western diet contains too much omega 6 (found in things like vegetable oil, processed food etc.) and not enough omega 3 (found in fish). The ideal ratio of omega 3 to omega 6 is about 1:1, whereas in the western diet it’s more like 15:1. The omega 3 found in fish oil comes in 2 forms – EPA and DHA, both of which are readily used by the body. When looking for an omega 3 supplement, it’s the combined amount of EPA and DHA which matters, not the total amount of fish oil. The American Heart Association recommends 1g of combined EPA and DHA daily. Omega 3 found in plant sources like flax seed is of the form ALA, which has poor bio-availability, meaning the body ends up only converting 5-15% of it to a usable form. Vegetarians and vegans should supplement with DHA from algae instead. 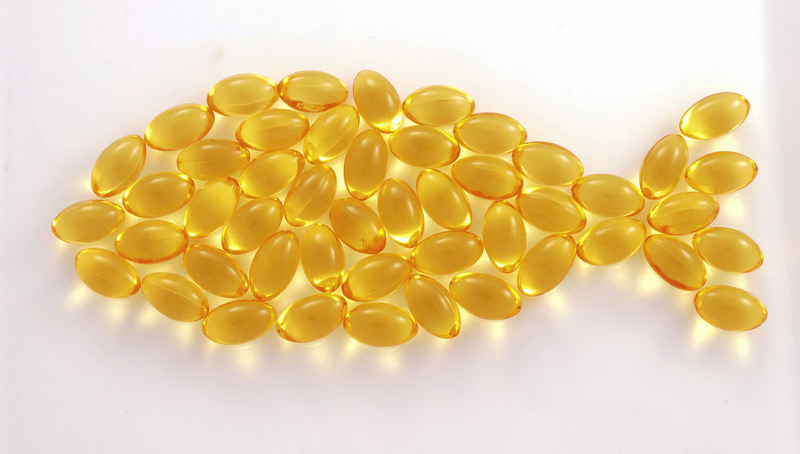 Fish oil can oxidise in sunlight, so store it in the fridge – a good quality supplement should have added vitamin E to prevent this oxidation. And just a final word of caution – consult your doctor before taking fish oil if you’re on blood thinning medication like aspirin or warfarin, as fish oil also thins your blood. Many people would view protein powder as more of a food source than a supplement, as it really is just another way to hit your total daily protein intake. Many supplement companies claim that adding whey protein to your diet will increase fat loss, and aid muscle growth. Realistically, adding protein from any source will do this, and there is no evidence that shows whey to be any more beneficial than other protein sources when it comes to dropping fat or gaining muscle. I like to include whey in my diet however as I find it really handy for baking, making protein oats, flavouring yoghurt etc. I really comes down to personal preference whether you want to use protein powder or not.. If you prefer to get your protein from a steak, that’s completely fine too! A good quality protein powder should have about 20g protein per scoop, and minimal fats and carbs (<2g each per scoop). If you’re lactose intolerant or vegan, there’s plenty of other non-dairy protein powders out there to try. I have recently started taking creatine after reading about the potential benefits supplementing it can have. Not only is it associated with increases in muscle strength, it may also have beneficial effects in the brain, bones, and liver. There is a lot of controversy surrounding creatine and kidney function, due to the fact that supplementation increases the level of creatinine in the blood, which is used to estimate kidney function. This is a ‘false positive’ however, and is in no way harmful. There is a huge amount of research declaring creatine completely safe in those with healthy kidneys. If you have impaired kidney function, be sure to check with your doctor first though! 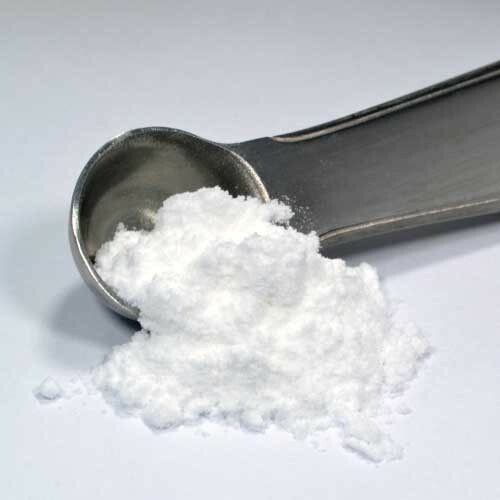 There are many forms of creatine on the market, but creatine monohydrate is the most well-researched, and also the cheapest. 5g a day is generally a good dose for most people. There is no need to worry about loading creatine, you can just start taking it – the benefits are the same in the long run. Make sure stay hydrated when supplementing with creatine, as not drinking enough water may lead to stomach cramps. Hope these recommendations were helpful! What supplements do you guys take? Disclaimer: I am in no way affiliated with any of the products mentioned, these are just my personal opinions. p.s. If you want to know more about any of the supplements I mentioned, I left some links below! Great post. Really simple also. A lot of people try to over complicate things and take 10 pills and 5 different types of shakes. Cool to see someone pushing simplicity and science based supplements. Thanks! I completely agree, lots of people way over complicate things with supplement and forget the basics!